Meanwhile, for Tenya, it was more about bringing attention to the children. “We chose the Make-A-Wish Foundation, because we believe that children are a reflection of true happiness and making their wishes come true this season of joy is a way of spreading good cheer through our food,” shared Tenya’s General Manager Iggy Ramos. 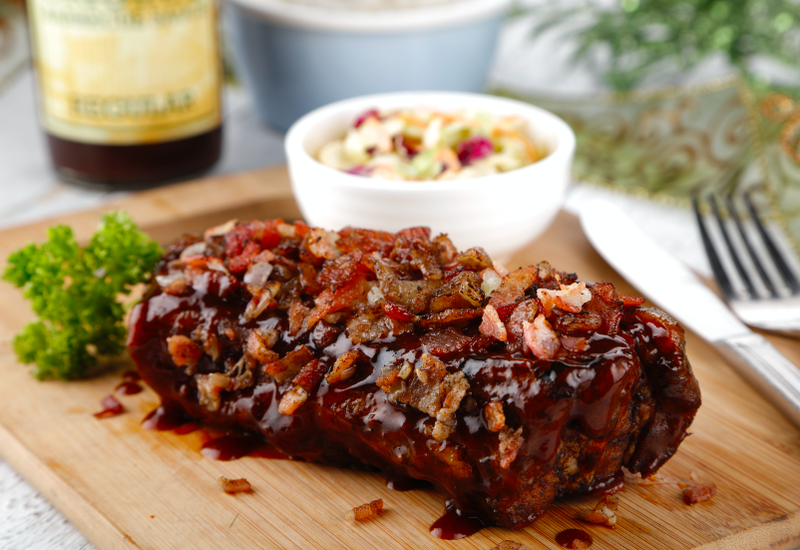 RACKS is giving their classic ribs a twist this season with the new Bacon Crusted Pork Ribs. 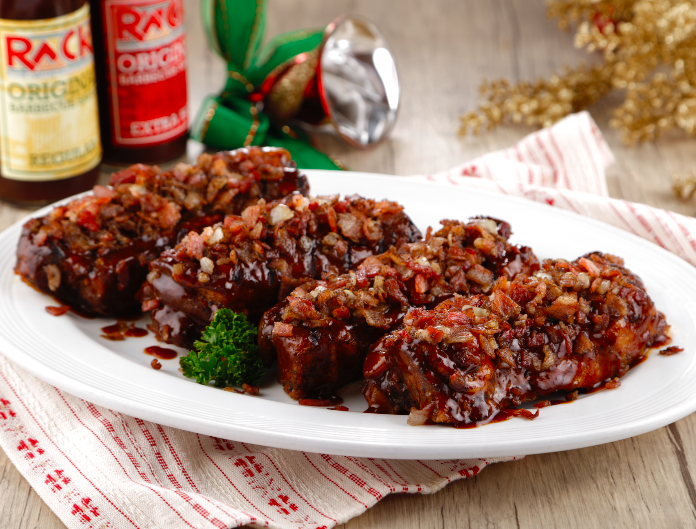 Whether you’re dining solo, or with a group, RACKS has just the plate of sumptuous ribs for you. A quarter slab with rice and a regular side (P475) should keep a lone tummy full, while a pair can enjoy a half rack with two rice, one large side, and a solo Caesar Salad (P995). A group of five to six can chow down on a Platter, including a full rack of Bacon Crusted Pork Ribs, a platter of rice, a pasta platter, family-sized Caesar salad, two large sides, and a pitcher of soda (PHP2,475). Craving for seafood? 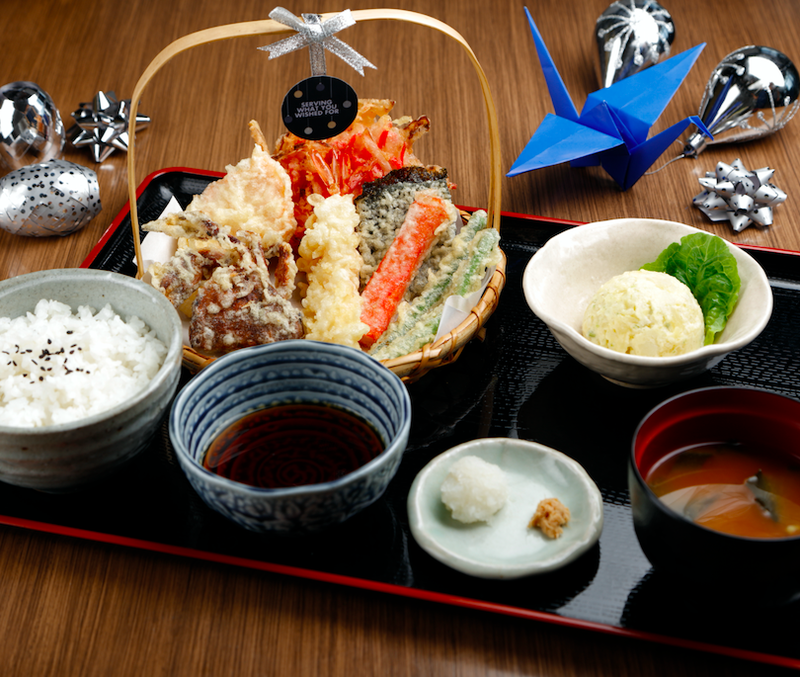 Tenya is granting your wish with a special and festive selection of the finest catch from the sea, with the Winter Seafood Tendon (tempura donburi)! 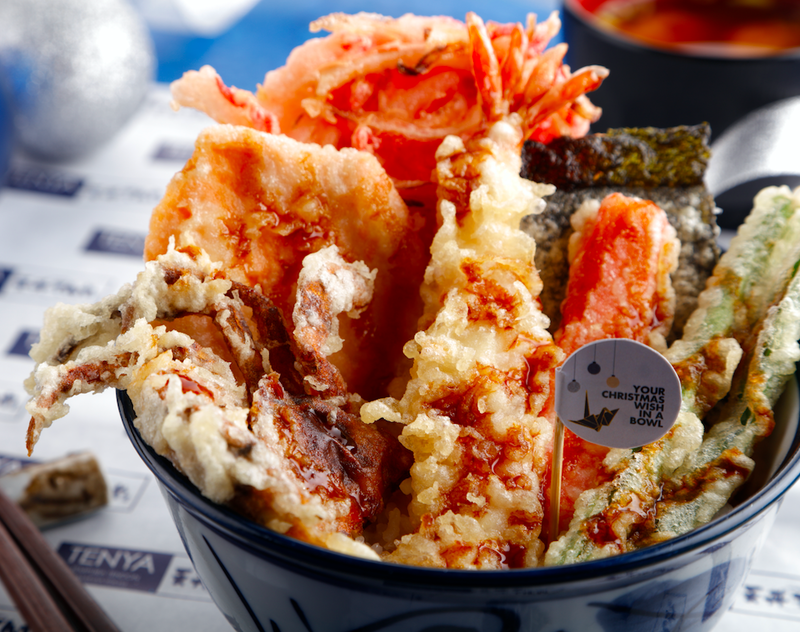 For a limited time, enjoy these delectable seafood specialties in one Christmas bowl, for just P395. Feast on Black Tiger Prawn, Soft-shell Crab, and Norwegian Salmon, with Japanese Red Pickled Ginger (Benishioga), Kani stick, Nori, green beans, and miso soup. And for just P425, upgrade your dish to a Teishoku Set. Indulge in Tenya’s other holiday treats, like the special edition Winter Coolers, Cranberry Grapefruit Cooler and Pineapple Spritz Cooler, for P115 each. Promo runs until January 15, 2018, in all RACKS and Tenya branches nationwide.